Brooks Rehabilitation College of Healthcare Sciences | Jacksonville University in Jacksonville, Fla.
​​​​​​​​​​​​​​​​​​​​​​​​​​​​​​​​​​​​​​​​​​​​​​​​​​​​​The Brooks Rehabilitation College of Healthcare​ Sciences is focused on preparing students to join a workforce community of healthcare professionals who provide exemplary service and care to a diverse population of indivi​duals. Our faculty and staff are innovative, creative and engaged in advancing the knowledge and skills to improve the delivery of health and human services. The ASPIRE capital campaign committed $20 million in funding, including a new 30,000 square foot Brooks Rehabilitation College of Healthcare Sciences building, with dedicated classrooms, faculty and staff offices, meeting rooms and a multidisciplinary state-of-the-art Simulation Training and Applied Research Center. Growth of our Brooks Rehabilitation College of Healthcare Sciences relies on giving. 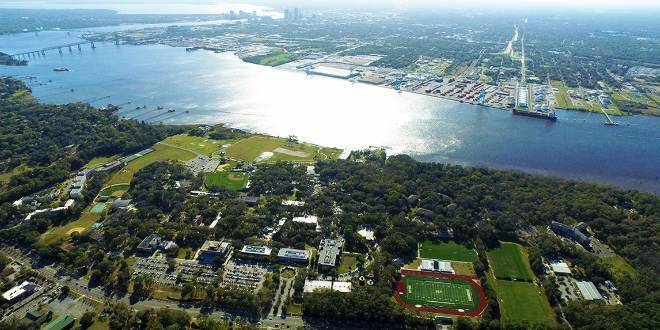 We are fortunate to have the continued support of our community and JU donors. Please consider supporting our Brooks Rehabilitation College of Healthcare Sciences as we strive for excellence in teaching, research and service to ensure the success of the students as they enter the healthcare industry. Download a PDF outlining student disability accomodations for healthcare sciences students or contact the Office of Disability Support Services.